D'Oriental Inn, Chinatown, Kuala Lumpur Kuala Lumpur, Hotel Malaysia. Limited Time Offer! D'Oriental Inn, Chinatown, Kuala Lumpur. 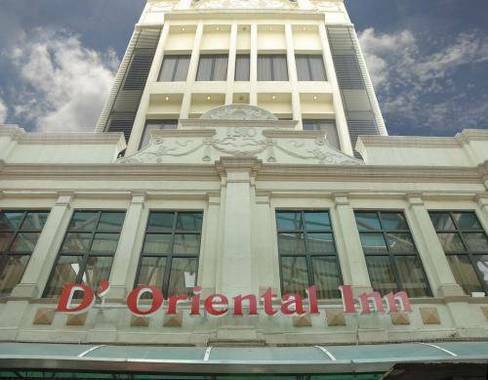 Hotel "D'Oriental Inn, Chinatown, Kuala Lumpur" has received 2 stars. The residence is an ideal pied-a-terre from which to discover Kuala Lumpur. The accommodation can be accessed easily from the airport nearby. This residence boasts 85 rooms in total. Each room in the residence is comfortable. The air conditioning keeps the heat outside, always ensuring a comfortable bedroom temperature. Dinner can be served at the onsite restaurant. After a good night's sleep, breakfast is available. Of course, guests can go online at no extra charge. This 2 star hotel is located in the city centre of Kuala Lumpur. It is a short drive away from the Times Square and the nearest station is Parsar Sen.